They fired me illegally! What are my rights? Articles They fired me illegally! What are my rights? I have lost my job, but I believe that my dismissal is illegal because my employer does not comply with labor law. correction of the grounds for dismissal entered in my employment book or other documents. It is especially important at this time to consult with a lawyer about the measures that I can take (especially before I sign anything from the employer). How and within what period can I file a claim for unlawful dismissal? I can make the first claim (I want to cancel my dismissal as illegal), combine it with some of the others (for example, ask me to return to my old job), or put the four claims together. I can bring my actions in a single application, in which I must explain why I consider my dismissal to be illegal. Important! 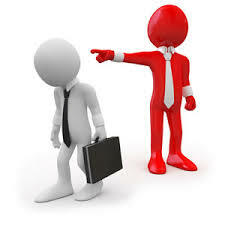 My employer can revoke the order for dismissal by himself before submitting his claim to the court. If he does not do so, I can make a claim within 2 months of termination of my employment relationship. Which court do I ask for? 1. I can bring my claim to the District Court at the permanent address or registered office of my employer. 2. If, however, it is more convenient for me, I can bring my case to the district court where I usually work. My application will be reviewed within 3 months. It is important to know that labor proceedings are free of charge for employees, but if I lose the case, I will have to pay the costs that the defendant has done. The time when I was out of work due to dismissal, which is recognized as illegal, will be taken into account for both employment and social security. For this period, my employer will have to provide me. They fired me illegally! What are my rights? They fired me illegally! What are my rights?